Cousins on Call :: Show Information :: RabbitTV GO! 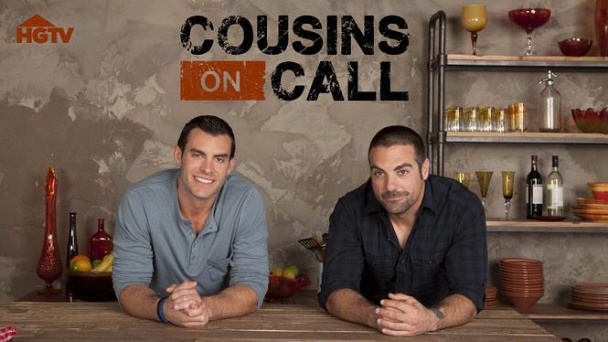 The Kitchen Cousins are back with a new show, Cousins on Call! Real-life cousins and best friends Anthony Carrino and John Colaneri of Brunelleschi Construction are lowering the wrecking ball on outdated, dysfunctional homes, surprising the homeowners with huge renovations that will make all their demo dreams come true. This hunky designer/contractor duo live in the same building in New Jersey, one flight above Anthony's parents, Alfonso and Francine, who are also involved in the business. This close-knit Italian-American family loves to spend time together, and Anthony's parents are always ready to jump in to help on the latest designs.